For some, changing colors on trees or shrubs provide a first hint of the coming fall. 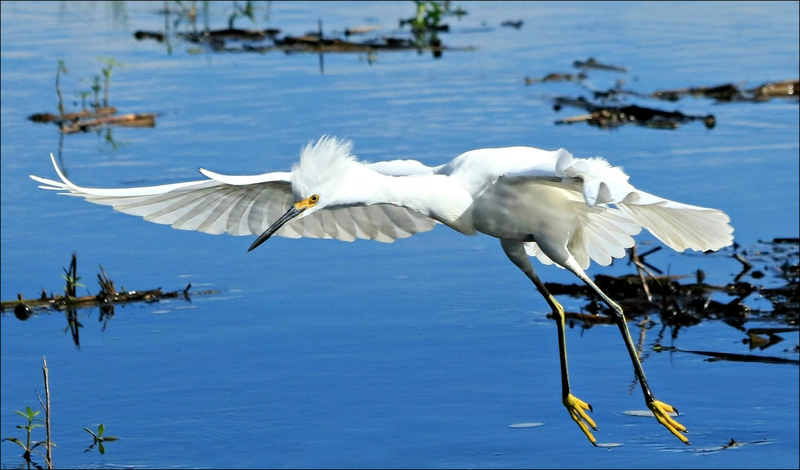 Here on the upper Texas coast, autumn arrives differently, flying in on the wings of migrating birds. Teal arrive first, followed closely by peripatetic mallards. Last week, the calls of returning osprey began echoing across Galveston Bay. Yesterday I realized the swallows had flown away, but their space soon will be filled by an assortment of geese, raptors, and cranes. 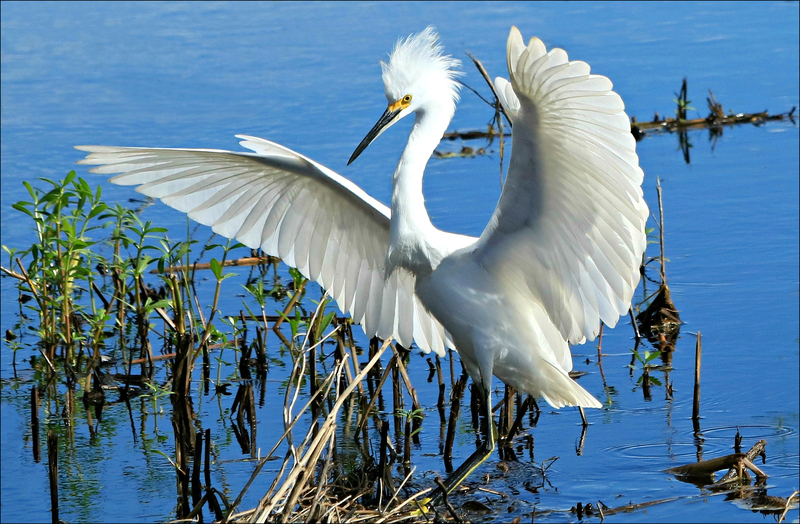 While snowy egrets stay with us throughout the year, their numbers increase in the fall as birds return to their favored coastal marshes, inland mudflats, agricultural land, and drainage ditches. Like the proverbial birds of a feather, they roost and nest together; last weekend I found a large flock hidden away along a canal in the Brazoria Wildlife Refuge. 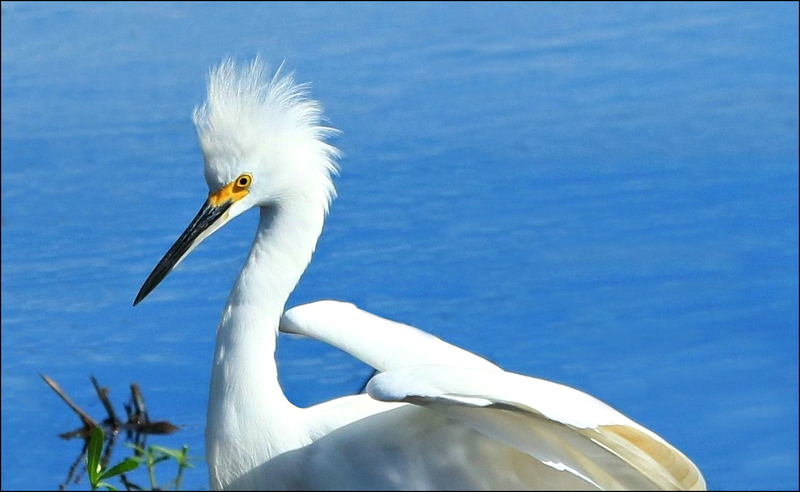 Sometimes referred to as ‘Golden Slippers’ because of their yellow feet, egrets also have yellow lores (the area between their bill and their eyes), which change to a deeper salmon or pinkish-orange during the breeding season. In the late 1800’s and early 1900’s, their plumes sold for nearly twice the cost of gold, and were used to decorate women’s hats. Inevitably, they were hunted nearly to extinction, but after the passage of laws meant to protect them, their numbers increased. Today, they’re a common sight: their golden slippers worth as much as any gold, and their developing plumes a hint of courtships to come. Comments always are welcome. Click any image for a larger, more detailed view. 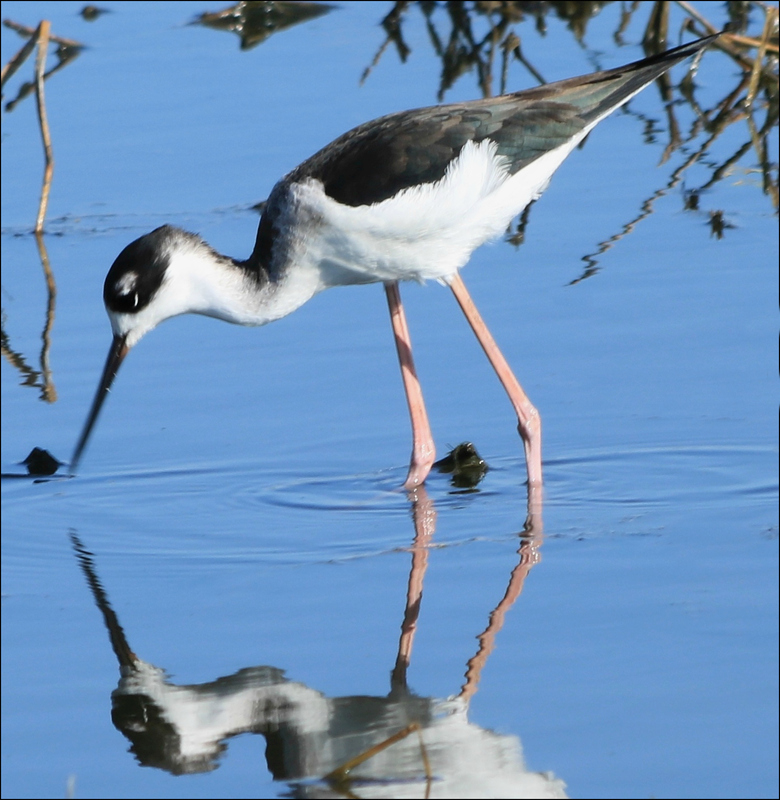 When it’s hot and droughty on the Texas coast, freshwater ponds begin to dry, and wading birds that have nested along their edges sometimes find life complicated by the vicissitudes of nature. 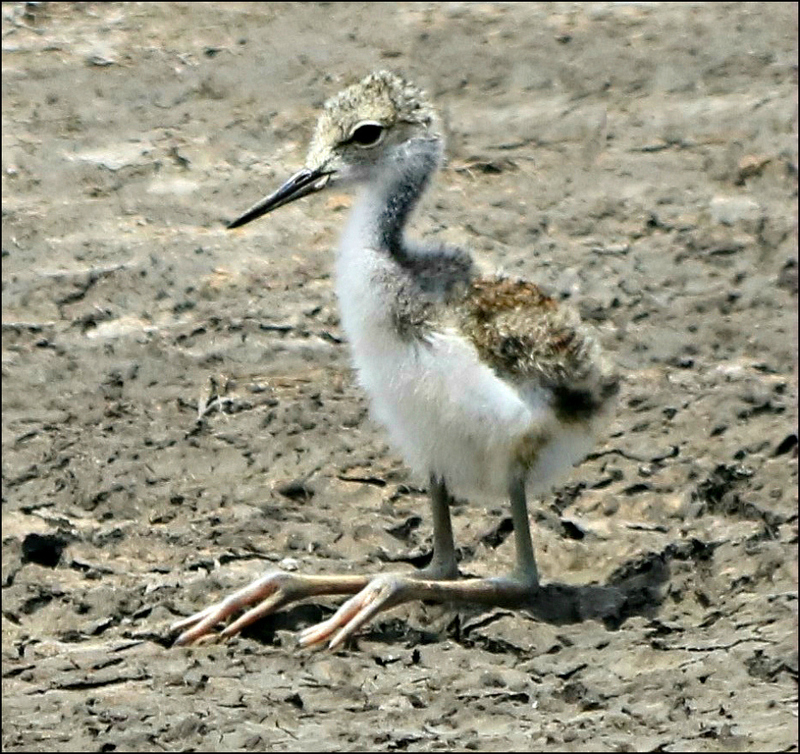 This baby black-necked stilt (Himantopus mexicanus), one of three being led across a desolate mud flat by its mother, finally tired of the heat and exertion and just sat down — unwilling or unable to go on. 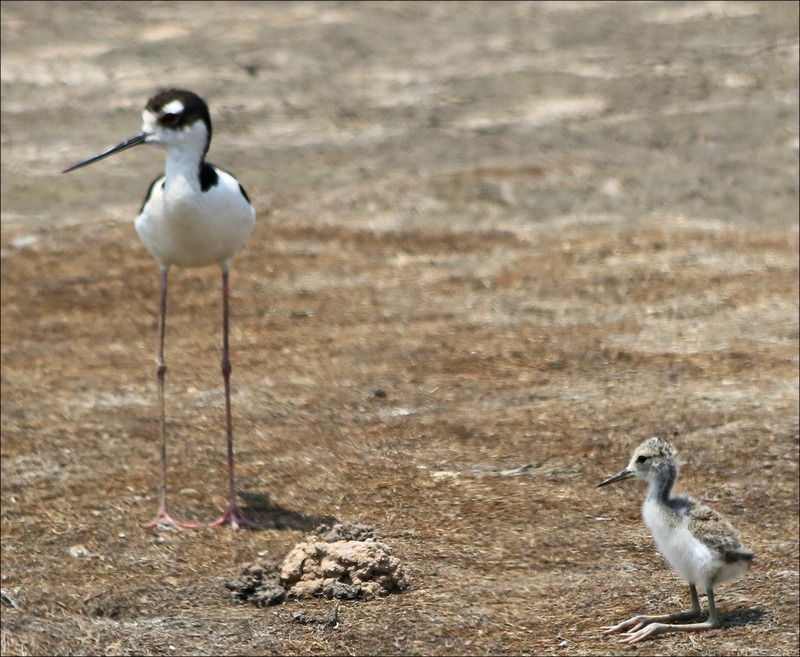 After only a minute or two, the mother realized one of her brood was missing, and came back to have a little talk with the tired one. Whatever she said, it was enough to get the baby on its feet again, ready to rejoin the family. 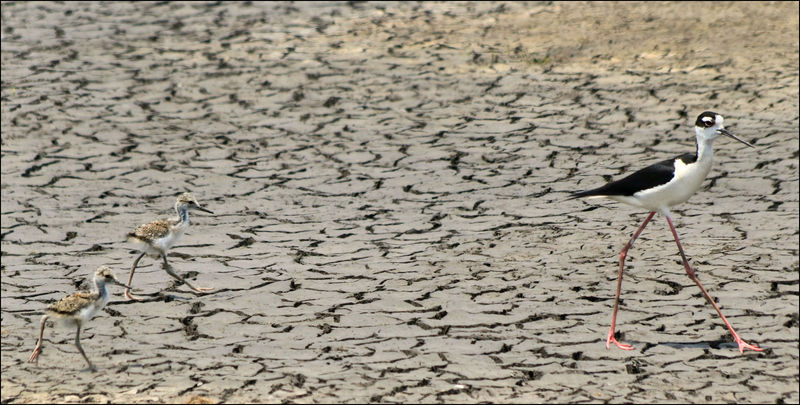 Despite the distance across the dried-up pond, they were fast walkers. 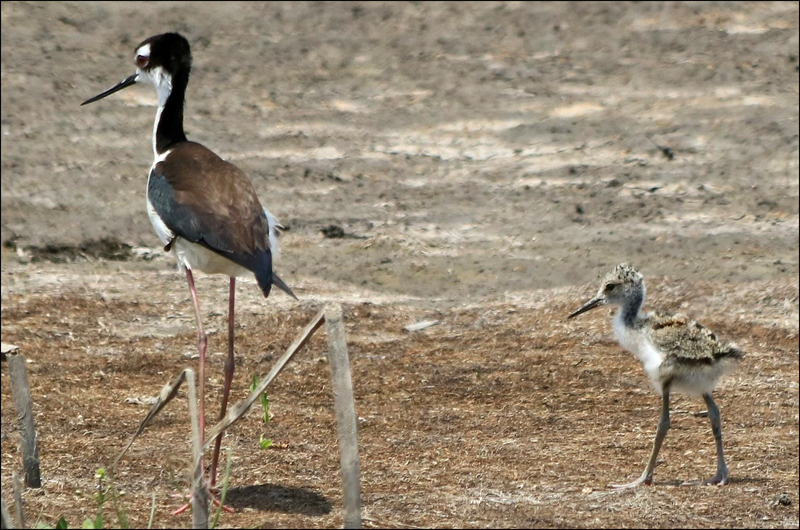 One of the other chicks tended to dawdle and missed being included in this photo, but it wasn’t far behind. 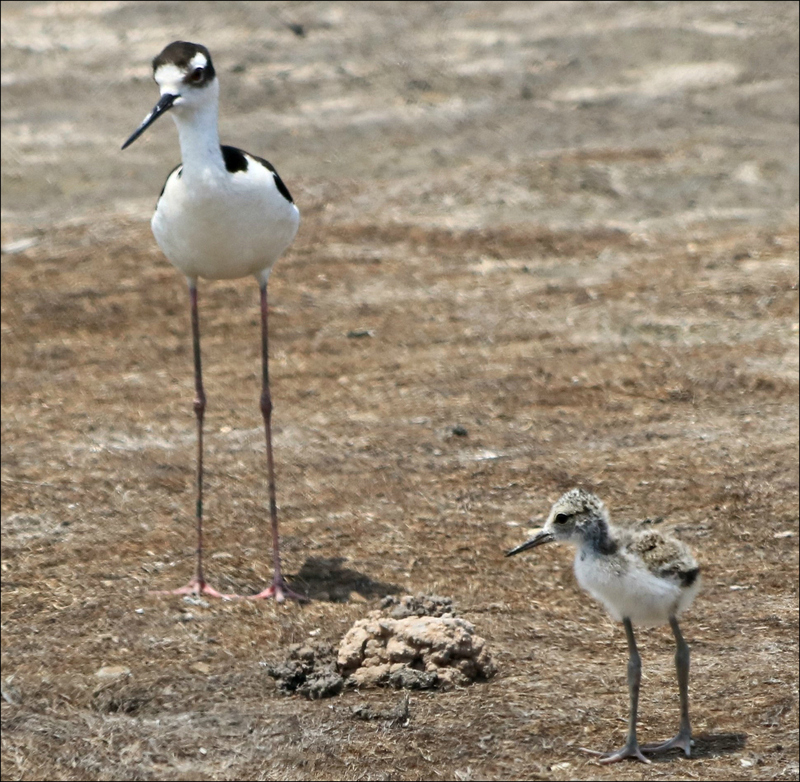 Even at the time, the well-camouflaged chicks were hard to pick out against the mud. Soon, all three were tucked away in a safer location. 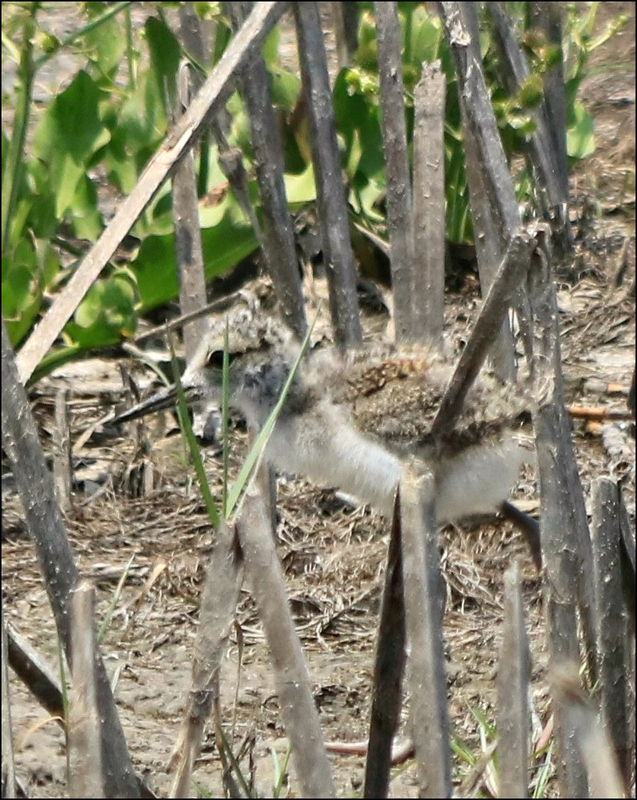 As they disappeared into the small thicket of broken reeds and vegetation, I wondered which of us was more relieved. In time, wings will grow and rain will come. They’ll begin enjoying life as the graceful beauties that they are, and I’ll be glad to enjoy them again.